^ 3.0 3.1 U.S. and Canadian Institutions Listed by Fiscal Year (FY) 2014 Endowment Market Value and Change* in Endowment Market Value from FY2013 to FY2014 (PDF). National Association of College and University Business Officers and Commonfund Institute. 2015 [2015-09-30]. （原始內容 (PDF)存檔於2015-10-08）. ^ Angulo, A.J. The Initial Reception of MIT, 1860s–1880s. (編) Geiger, Roger L. Perspectives on the History of Higher Education. : 1–28. ^ Member Institutions and Years of Admission. Association of American Universities. [2012-06-26]. （原始內容存檔於2012-10-28）. ^ History: Sloan School of Management. MIT Archives. [2008-07-25]. （原始內容存檔於2010-06-21）. ^ Doc Draper & His Lab. History. The Charles Stark Draper Laboratory, Inc. [2012-05-30]. （原始內容存檔於2012-05-27）. ^ Charles Draper: Gyroscopic Apparatus. Inventor of the Week. 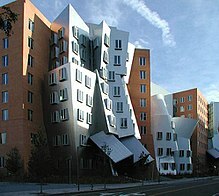 MIT School of Engineering. [2012-05-30]. （原始內容存檔於2012-04-18）. ^ Bedi, Joyce. MIT and World War II: Ingredients for a Hot Spot of Invention (PDF). Prototype. 2010 [2012-05-30]. （原始內容 (PDF)存檔於2012-05-24）. ^ Lee, J.A.N. 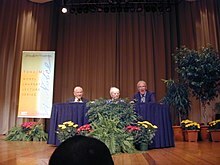 ; McCarthy, J.; Licklider, J.C.R. 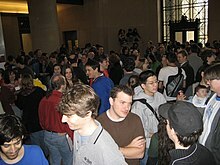 The beginnings at MIT. IEEE Annals of the History of Computing. 1992, 14 (1): 18–54 [2012-05-31]. doi:10.1109/85.145317. （原始內容存檔於2013-02-20）. ^ Building History and Numbering System. Mind and Hand Book, MIT. [2008-08-13]. （原始內容存檔於2010-12-22）. 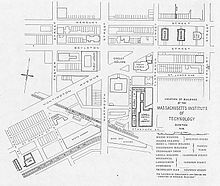 ^ MIT Campus Subterranean Map (PDF). MIT Department of Facilities. [2008-08-13]. （原始內容 (PDF)存檔於2010-07-31）. ^ MIT Architecture: Welcome. MIT Department of Architecture. [2007-04-04]. （原始內容存檔於2007-03-23）. ^ Schön, Donald A. Leadership as Reflection-in-Action. (編) Thomas J. Sergiovanni, John Edward Corbally. Leadership and Organizational Culture: New Perspectives on Administrative Theory and Practice. University of Illinois Press. 1986: 59 [2008-08-13]. ISBN 0-252-01347-6. [In the sixties] Students spoke of their undergraduate experience as "drinking from a fire hose." ^ Benson, Snyder. The Hidden Curriculum. MIT Press（英語：MIT Press）. 1970. ISBN 0-262-69043-8. （原始內容存檔於2012-11-14）. ^ MIT Washington Office. MIT Washington Office. [2007-03-18]. （原始內容存檔於2007-02-07）. 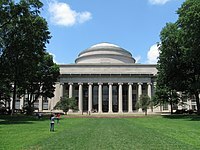 ^ MIT International Science and Technology Initiatives. MIT. [2007-03-17]. （原始內容存檔於2007-02-10）. ^ History – The MIT Press. 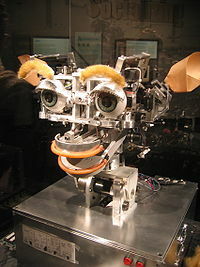 MIT. [2007-03-18]. （原始內容存檔於2007-04-15）. ^ Lewis Music Library. MIT. [2010-10-10]. （原始內容存檔於2010-07-07）. ^ Ring History ('93 class webpage). [2006-12-26]. （原始內容存檔於2006-12-14）. ^ Marcia McNutt, Director, U.S. Geological Survey. U.S. Department of the Interior, U.S. Geological Survey. [2015-05-25]. （原始內容存檔於2015-07-23）. ^ DUSP's Briggs joins Obama administration. MIT News Office. 2009-01-20. （原始內容存檔於2014-03-30）. ^ Lander named to Obama's science team. MIT News Office. 2008-12-22. （原始內容存檔於2014-03-30）.